A confirmation email will be sent to you with the agreed to terms and conditions. Pinnacle’s corporate wellness program is founded and lead by former Team Canada beach volleyball team member an ex-indoor Volleyball Professional, Steve Delaney. Steve has an extensive background in fitness and wellness, as well as fitness club management. Steve leads a team of corporate wellness program managers with a wide range of experience including fitness professionals, medical product experts, and experienced health care professionals. Alyssa has an honours degree in kinesiology, is a certified personal trainer and fitness nutrition specialist, and is a sponsored competitive fitness bikini athlete in the Ontario Physique Association. Health, Wellness, and Fitness are paramount to Alyssa, and she is passionate about helping, teaching and inspiring others. Kristi Schentag graduated in 2009 from Canadian College of Health Science and Technology. After graduating, Kristi has been providing registered massage therapy to an array of different clients. In addition to Swedish massage, Kristi has taken special certification in deep tissue massage, and incorporates many advanced techniques into individually tailored treatment plans for her clients. Her skillful and therapeutic hands deliver treatments enhanced with such techniques as trigger point release, manual lymph drainage, deep tissue and fascial work. All of these special techniques will allow Kristi to help you to reach your goals for health. Dr. Josh Binstock is a Chiropractor, an accomplished athlete and an Olympian who represented Canada at the London 2012 Olympic games. Having experienced Chiropractic care at an early age, he developed an appreciation of the benefits it provided to his overall wellbeing and athletic potential, so he decided to pursue it as a career. After completing his Bachelor of Health and Physical Education from the University of Toronto, he subsequently earned his Doctorate of Chiropractic at the Canadian Memorial Chiropractic College in 2009. Due to his natural competitive spirit combined with his passion for health, Dr. Josh drives his pursuit of excellence in the clinic just as on the court. He has a distinct feel and understanding of the body’s state of health, and his treatment protocols are effective in treating anything from acute or chronic conditions, to corrective and maintenance care. He believes in a friendly, positive and caring approach to practice and seeks to not only help his patients, but also to enhance their true potential to live a healthier, happier lifestyle. Dr. Josh is also a speaker at local schools, businesses and organizations on the importance of health and wellness, and enjoys educating his patients on maintaining optimum body care and performance in all facets of life. He still represents Canada on the FIVB world tour, and plans to win Gold at the 2015 Pan American games in Toronto. Dr. Jason Lemieux is a licensed chiropractor and owner of Physiomed in Oakville Ontario. Dr. Lemieux earned his Doctor of Chiropractic at the National University of Health Sciences outside of Chicago, where he was class Valedictorian. Dr. Lemieux works with individuals to treat and prevent injury as well as improve physical performance. In addition to treating patients and running the Oakville Physiomed location, Dr. Lemieux runs the Physiomed Training for Active Care Specialist (TRACS) program; he lectures and trains all Physiotherapists, Chiropractors, Trainers and Kinesiologists on the topic of functional exercise for all 40 Physiomed locations in the Greater Toronto Area. Dr. Lemieux has worked with John Cochrane Golf Schools for the last 10 years, helping students maximize their learning curve and get the most of their practice session. 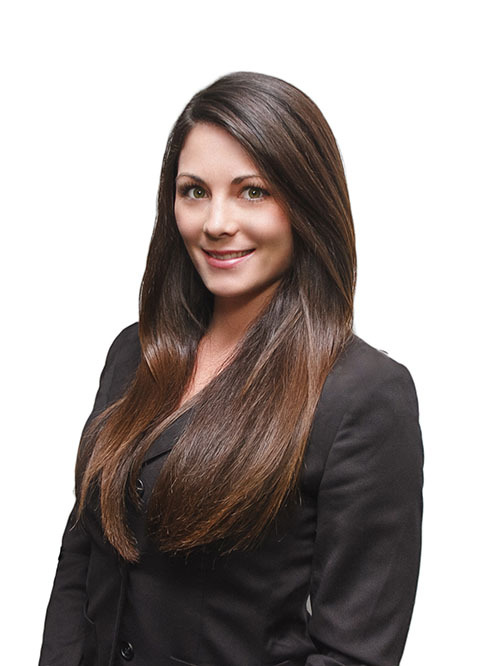 Jenna Brooks has been in the health and wellness industry for over 12 years. She's progressed from a personal trainer to a trainer of trainers; developing health centres and therapeutic clinics across the GTA. With over 15,000 coaching hours and over 10 designations, Jenna specializes in Corporate Wellness.